Bonita Gimple and Ellen Zimmerman scored 0.28 masterpoints with a 51.88% game at In Tempo Bridge Club. See full results of this game. Penny Keaton and Ginny Hampton scored 0.34 masterpoints with a 54.38% game at In Tempo Bridge Club. See full results of this game. Bonita Gimple and Linda Lacaff scored 1.37 masterpoints with a 57.21% game at In Tempo Bridge Club. See full results of this game. Abby Renfroe and Bonita Gimple scored 0.17 masterpoints with a 51.65% game at In Tempo Bridge Club. See full results of this game. Suellen Wiles and Jean Crawford scored 0.99 masterpoints with a 56.23% game at Bridge On Shea. See full results of this game. Ginny Hampton and Penny Keaton scored 0.39 masterpoints with a 49.24% game at In Tempo Bridge Club. See full results of this game. Linda Lacaff and Bonita Gimple scored 0.55 masterpoints with a 55.12% game at In Tempo Bridge Club. See full results of this game. Abby Renfroe and Bonita Gimple scored 0.15 masterpoints with a 52.34% game at In Tempo Bridge Club. See full results of this game. Suellen Wiles and Jean Crawford scored 0.14 masterpoints with a 50.74% game at Bridge On Shea. See full results of this game. Bonita Gimple and Linda Lacaff scored 0.42 masterpoints with a 53.53% game at Bridge On Shea. See full results of this game. Penny Keaton and Ginny Hampton scored 0.28 masterpoints with a 53.57% game at In Tempo Bridge Club. See full results of this game. Ginny Hampton and Penny Keaton scored 0.39 masterpoints with a 54.19% game at In Tempo Bridge Club. See full results of this game. Dave Bosserman and Julie Bosserman scored 0.29 masterpoints with a 43.13% game at In Tempo Bridge Club. See full results of this game. 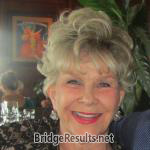 Suellen Wiles and Jean Crawford scored 0.37 masterpoints with a 52.5% game at Bridge On Shea. See full results of this game. 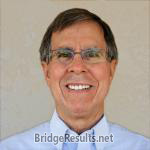 Lee Mann and Shirley Levine scored 0.36 masterpoints with a 55.13% game at Bridge On Shea. See full results of this game. Shirley Levine and Bernard Levine scored 0.42 masterpoints with a 51.06% game at Bridge On Shea. See full results of this game.